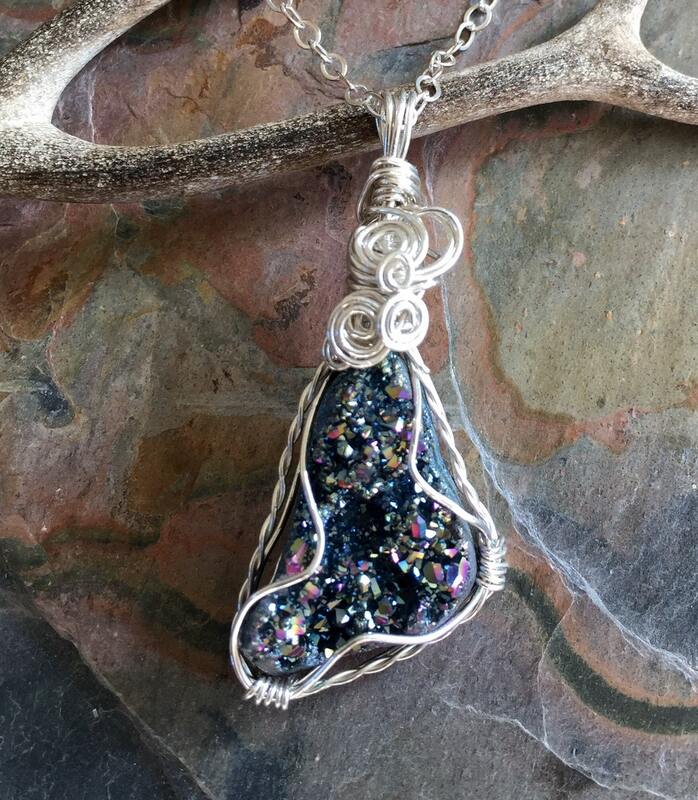 This beautiful Titanium Druzy is wire wrapped with .925 sterling silver wires. 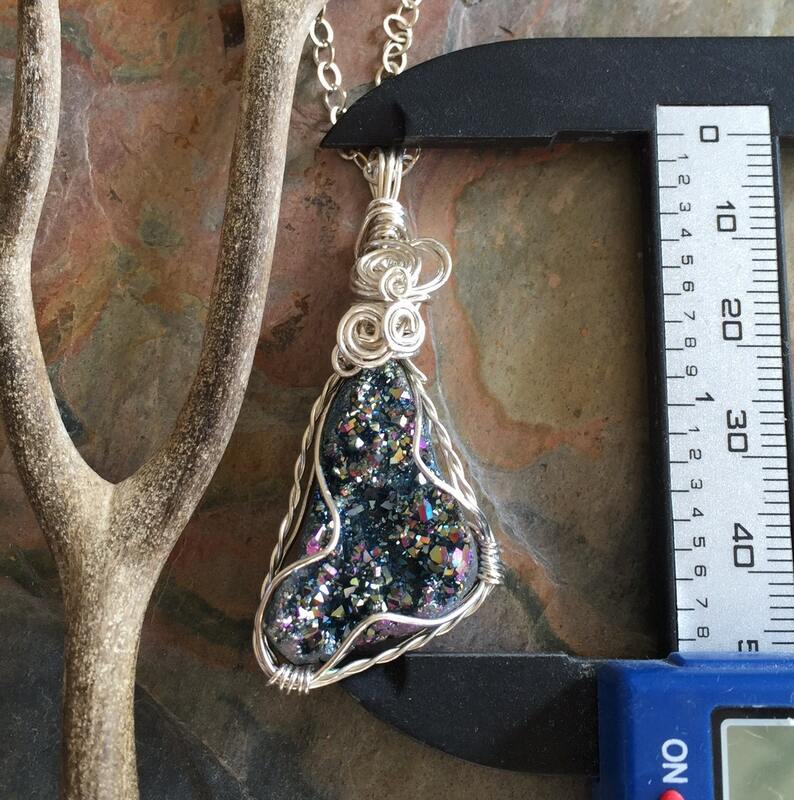 The pendant hammered & forged to give strength & texture to bring out the stunning details of the finished pendant. 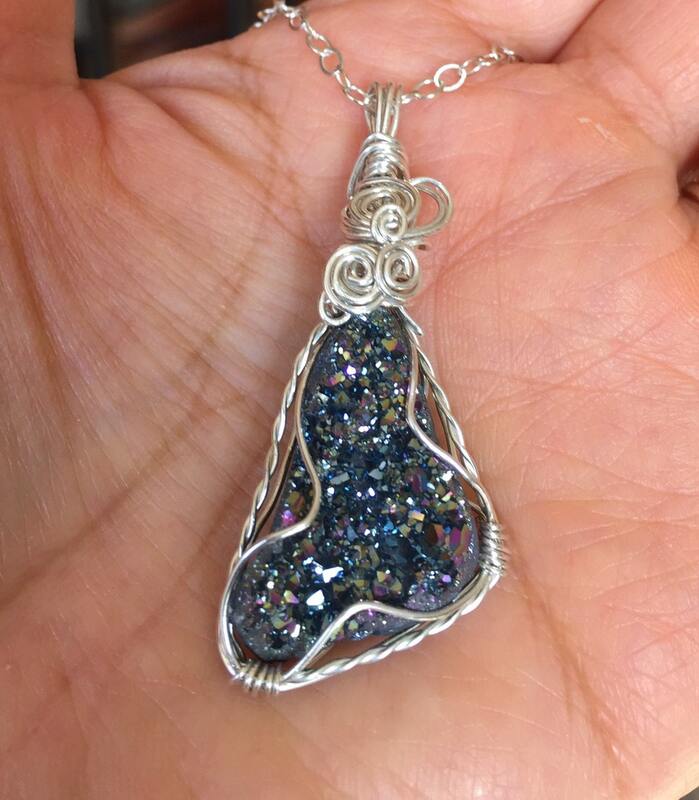 *The finished pendant measures 2.0 inch from top of the bail to the bottom of the pendant, .90 inch across. 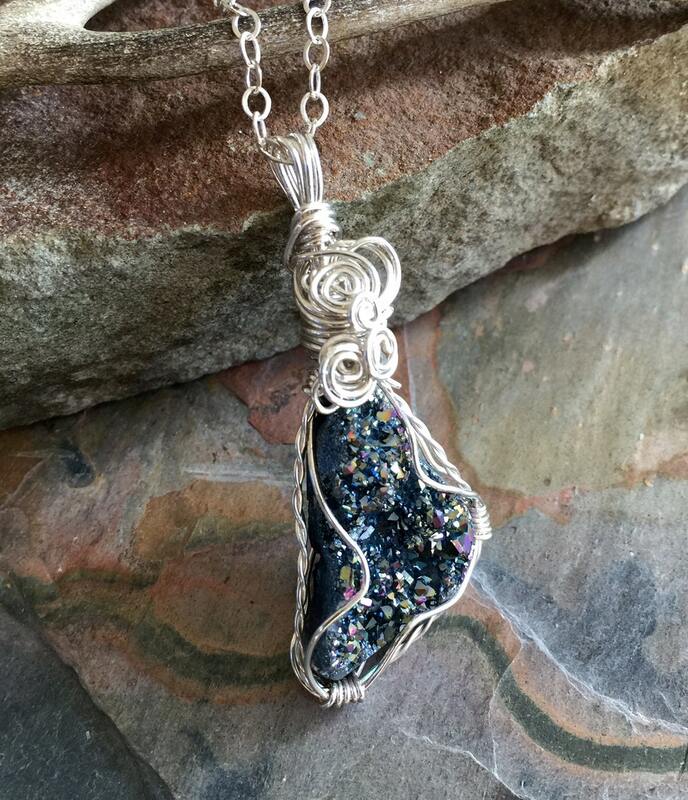 The pendant comes in a sterling silver chain.